Why does God allow me to suffer? Why can't I listen to Aerosmith anymore? I know the answer to one of these questions and you may be surprised at the answer. Dorf on Golf 1987. 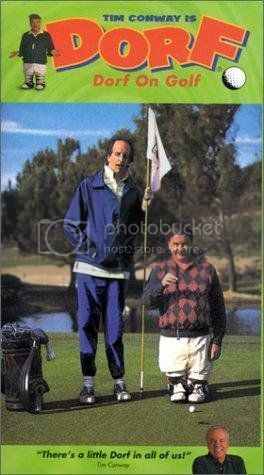 On the golf course, I looked more like Tim Conway's character than an actual athlete. I wasn't too bad except for the first date with my current wife. I took her to a driving range to show off my big driver. During the third swing, my nervous, sweating hands let go of the club and it helicoptered over the guy standing three lanes down from me. We gave him the rest of my balls with an apology. We left right away never to return. 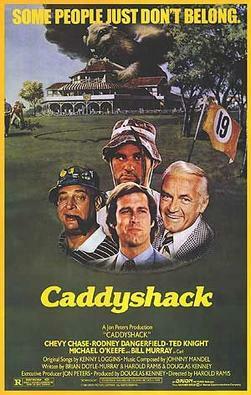 Caddyshack 1980. My dad was more like Rodney Dangerfield on and off the golf course. No respect. Now imagine, me as Dorf and dad as Dangerfield walking the golf course like a Benny Hill montage. I loved The Benny Hill Show, it was cleaner than other British comedy movies of that time. Aerosmith, The Beatles, Pink Floyd. I never met a 70's band I didn't like. I just don't listen to them all. These were just a few of the bands I was introduced to by my father. The other side of my family and I saw the Floyd live in 1994, their last tour.